I joined Zui at a time when they were transitioning from their K2 browser to a more modern site. The company wanted to provide all the aspects of a social network but with safety as a main concern. The main problem is the difficulty moderating content when you're letting kids use video viewers such as YouTube. We started off by whiteboarding some concepts. These sessions were helpful when working collaboratively at a rapid pace. In this case, the session was held by the product owner, who had a greater understanding of the goals of the project. 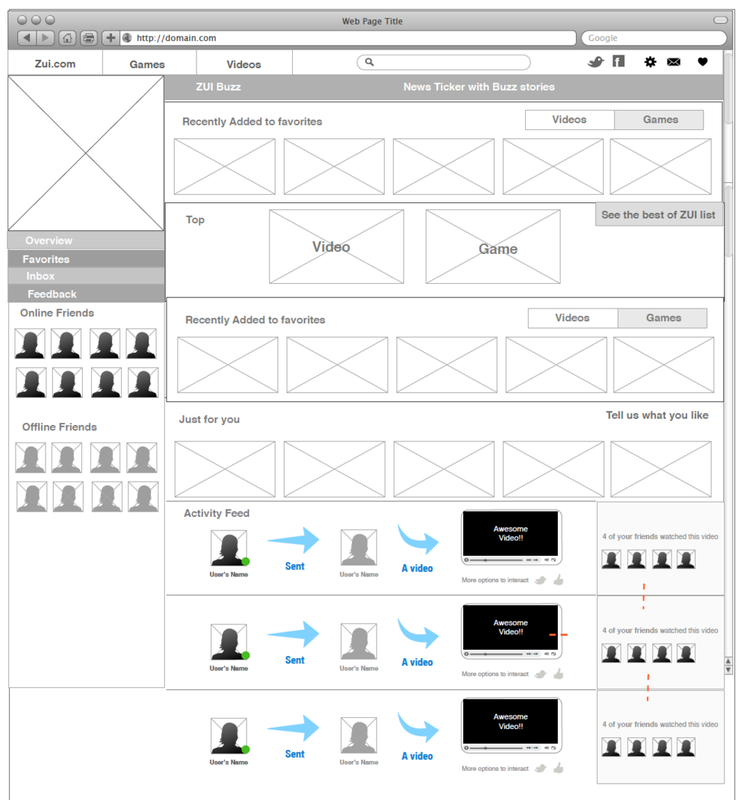 In early design phases, we played around with the "social network for kids" idea. We weren't going to allow children to upload photos of themselves, and since we were competing with sites such as Disney's Club Penguin, we came up with our Zui Avatar Creator. • " What body style do you prefer for the characters?" • "What outfits would you dress your characters in?" • "What other sites do you visit on the Internet? • "How do you choose your friends in real life?" The characters would later become our ZUI avatars. Another interesting piece of insight we picked up was that Facebook had a rule at the time that no one under the age of 13 could be a member of the site. All of the children that we interviewed were under the age of 13, and every single one of them visited Facebook on a regular basis. We were able to go forward with the assumption that kids wanted a social connection on the Internet, just like adults. 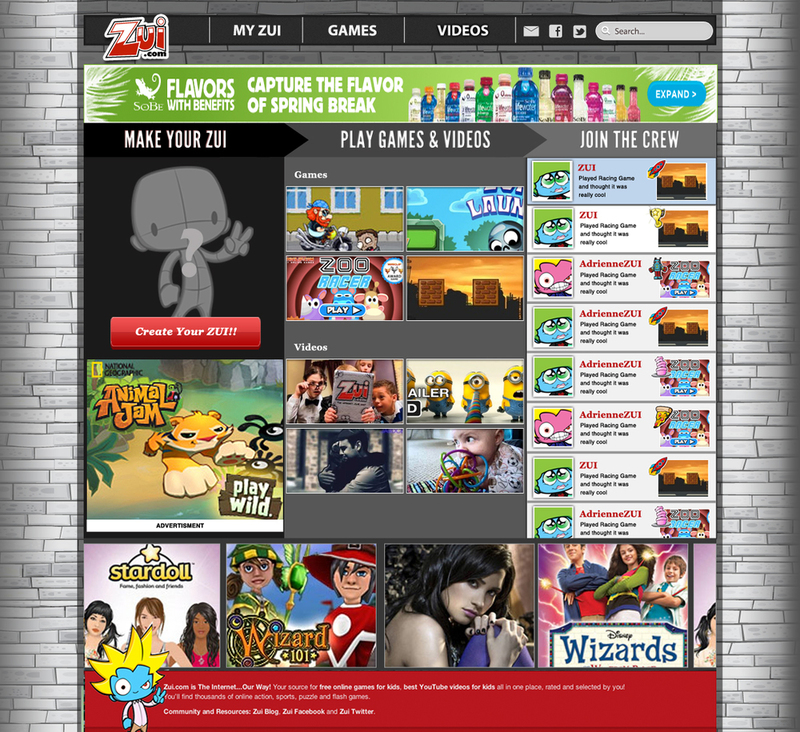 We knew the most common reason they were using the site was games and video. The new ZUI was a place where children could build avatars and add customized outfits that represented themselves online. To add friends, children needed to know their friend’s ZUI name. KidZui also tracked children’s Internet usage and sent reports to their parents on what their children looked at online. "How would you add a friend on the site?" " Can you login and play your favorite game?" " Use the site as you normally would on an everyday basis?" We watched the children using the site from another room. We noted any roadblocks they encountered, captured feedback and provided help when necessary. Each testing session lasted no longer then 15-20 minutes. After each test an interview session was held with both the parent and child. We observed kids getting frustrated with advertising. At the time we were playing 30 second ads before each game and video. There was no way to skip the ad and once the kid moved on to a new game or video they would have to watch the same ad. 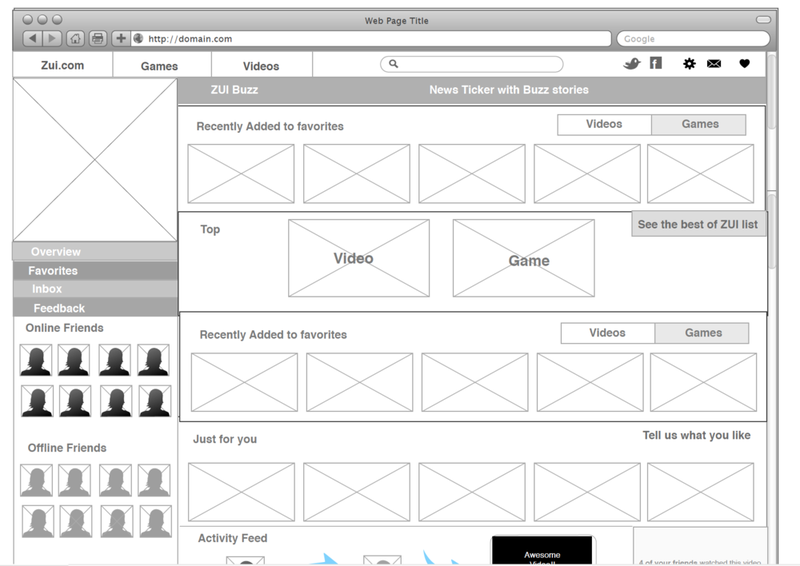 In later iterations ZUI would skin the site with advertising to reduce the number of distractions through the workflow. Zui was eventually sold to Saban Brands (Power Rangers, Paul Frank). After that, the direction of the company changed to support a four-hour block of Saturday morning TV called MyVortexx on the CW. Zui was later sold to LeapFrog Industries and most recently was acquired by VTech Media.